It was going to be a cold, cold winter week as usual. But I didn’t care. I was packing shorts and swim suits. We were off to a warm and wonderful place. Not Florida but much closer, Great Wolf Lodge in Southern Ontario. As we drove through snowbound streets leaving the -20 degrees behind, we entered a world of warm air, bustling noise and brightly lit indoors. I could almost imagine we were by the ocean. 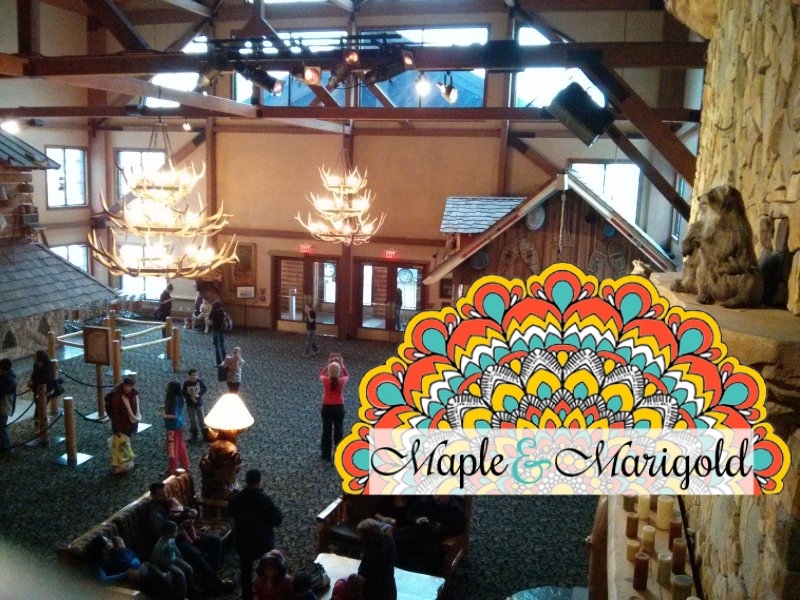 The Great Wolf Lodge is a chain of American family-friendly resorts located all over the States. Since we moved back to Toronto the kids have been hankering to come here, especially with the ad jingle that on constant play on the radio. So, when a friend found an amazing deal online and we realised the resort was only an hour and a half away, we knew it was time. Not only is it a family-friendly resort but it has the most AMAZING water park. And that’s the reason people keep coming back here again and again. 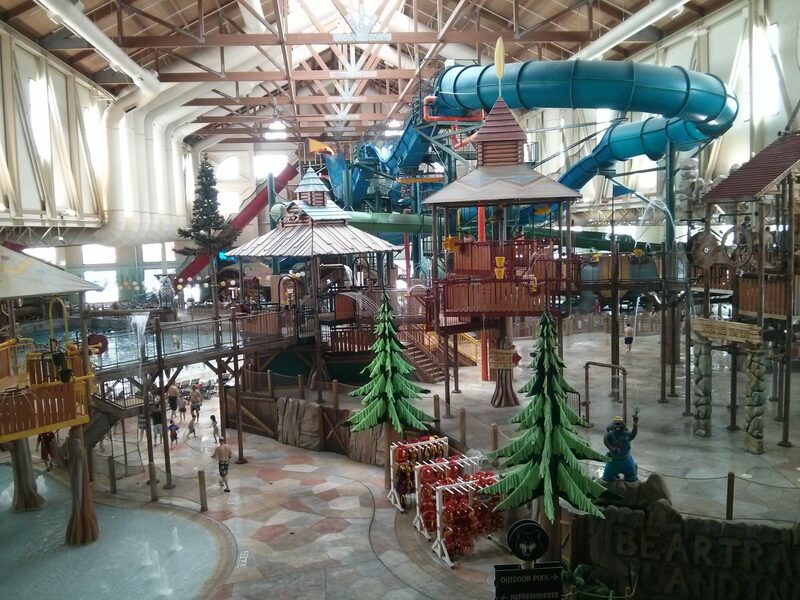 The great slides, pools and waterfalls and it’s mostly indoors. Perfect for the long, cold winters in Canada. 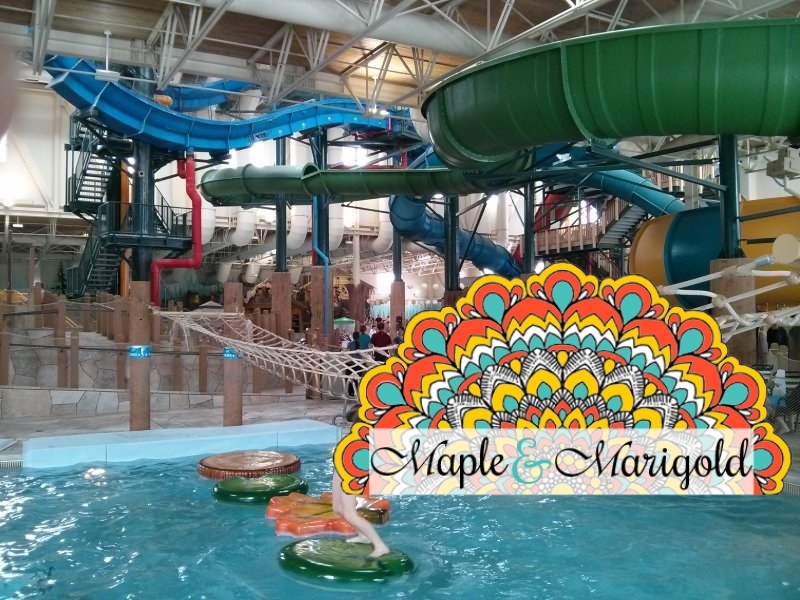 Great ambience, food, service, and the WATER PARK! The kids loved the park and there was something for all age groups. My 9 year-old loved the more extreme slides – Canada Vortex (also christened the toilet bowl because you get flushed down), Niagara Rapids where you can go with two other people and get your thrills. The younger kids loved Woolly Mammoth, as did I. This was the only one where little kids could go along with the parents in a little round raft, sit together and yell to their hearts content. Besides the slides, there are also other great activities in the water park. The Lily Pads, where you can show off your great agility and limber upper body strength. And if you have neither, you can do what I did and topple over…repeatedly. But that didn’t stop me from trying and even though I didn’t make it past the 4th lily pad, I tried! For the little ones there is an area with warm fountains, waterfalls and low, slow slides. My 4 year-old stayed in this toddler area for the most part. She, along with her friends went up and down the baby slides again and again. We were there for the watery excitement and that’s what we did for the 2 days. But there seemed to be other fun as well. Lineups at the Arcade. Evening story time. Being pampered at the Spa. Perhaps next time! The one thing I found a little odd though was the large glass window overlooking the kids at the spa. I saw a similar window set-up at Disney as well where little girls are seated on thrones and getting all made up to look like their favourite princess. Great marketing tactic, except for the being on display part. Getting back to the AWESOME things at the Lodge, I have to mention the MagiQuest. This is quite an involved adventure where you pay for the wand and the “Quest Guide” and off you go. Approx. $30 depending on the wand of your child’s choice, it is a great activity especially if they have friends with them. There is an area in front of the elevators called the “Quest Stones” that they have to come back to between tasks. I hung around there with a coffee and a friend and was able to keep an eye on the kids as they ran around. Since we were there for a couple of days we decided to go for the Meal Plan which comes to $150 for a family of four. 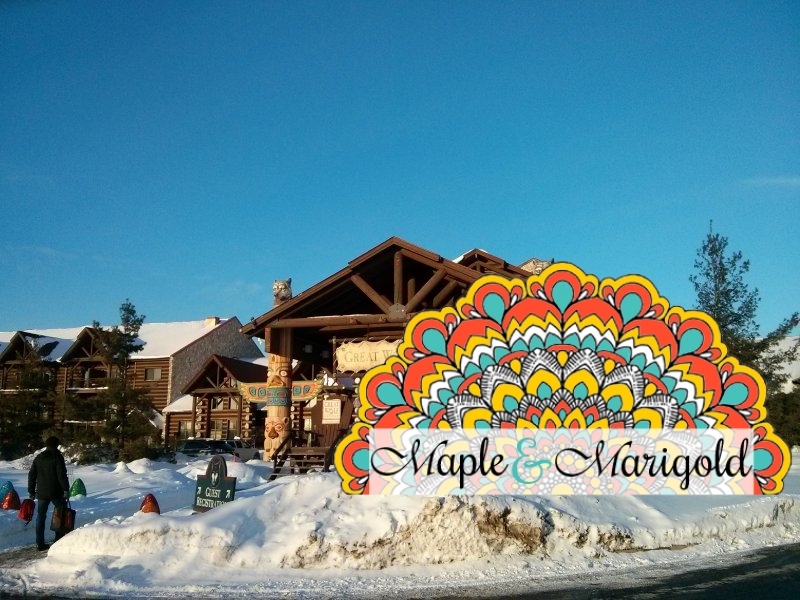 It includes a buffet dinner and breakfast at the Antlers Shanty. 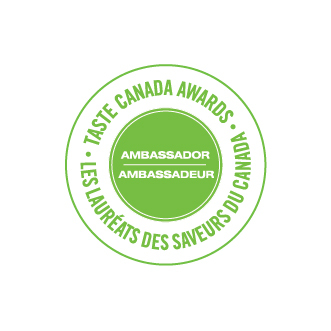 Yummy variety though my favourite was the dessert counter – jello, bread pudding, mousse, marshmallow stack, delicious! The lunch is at the stalls onsite in the park. Options there are quite limited and mostly junk food. Hotdogs, fries, burgers etc. I was glad that I was carrying some fruit and vegetables to augment the lunch variety. – Find a good deal online. They are out there so keep looking especially if you are willing to spend a Thursday night. – Check-in early if possible. The website says 4 pm but you are allowed to use the park from 1 pm. We ended up at the Lodge at 11 am and were quite prepared to be turned away. Not only were we checked in immediately, we had a room and by noon we were at the park, bouncing in the warm wave pool. – Don’t bother bringing your little one’s life jacket. There are more than enough available. – Carry some snacks, fruit, bagels etc so you don’t have to take a break and leave the water park. You can keep going all day if you take a couple of breaks for snack time. The rooms have refrigerators and microwaves if required. – MagiQuest is really for kids over 7. Any younger and you will end up doing the quest for them. – Carry more than 1 swimsuit, saves you the headache of rinsing, hanging up etc. There are swimsuit dryers close to the lockers but a backup helps. – Rent a locker. The smallest is $5 and I was able to fit our cell phones, snacks, clothes in there quite easily. Great Wolf Lodge checked all my boxes for travel with kids. There is a lot of excitement to be had and one can easily spend a good three days. We are already counting down the days to our next visit. This review has not been sponsored by any one. It is my honest and surprisingly glowing opinion.